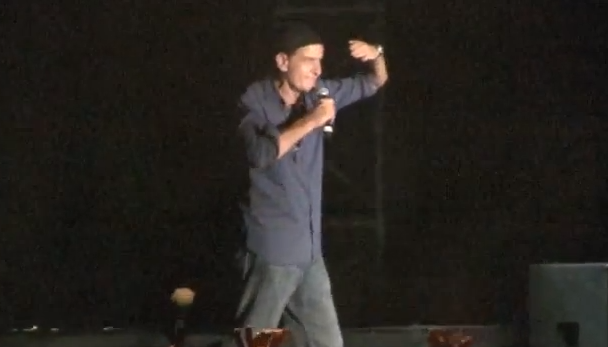 Charlie Sheen sure felt the “love” at The Gathering of the Juggalos. Not! The crowd was not into him…. at all. They were heckling and booing him so much you could hardly hear him… then to top it off, they were hucking cans and bottles at him! But the best part was the fact her was catching them! I guess that audience wasn’t into to Two and a Half Men… or WINNING.